Prince Harry has sent fitness enthusiasts into a frenzy by joining a public gym. Security have been forced to step in due to gym users trying to take pictures of the prince working out. Britain's Prince Harry has joined a public gym. The 29-year-old royal has sent fitness enthusiasts into a frenzy as they try to catch a glimpse of him working out at branches of Third Space gyms in Kensington and Soho in London. Harry is reportedly training with former Royal Marine commando, James Gilbertson, who has since become a fitness expert and personal trainer. 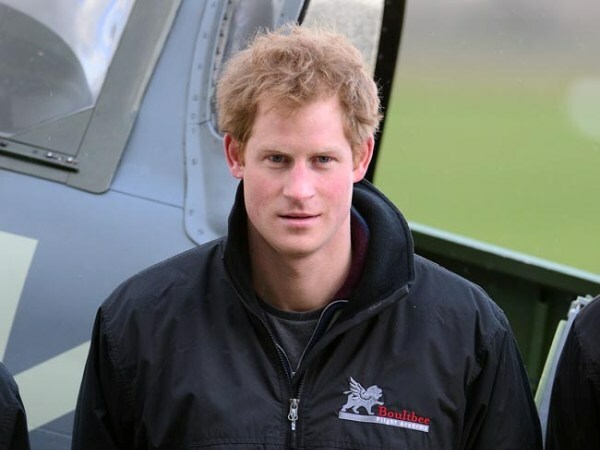 The flame-haired royal's presence at the upmarket gyms - which cost £139 a month to use - has caused fever among other gym users and security have been forced to step in and remove people trying to take unflattering pictures of Harry. A source told the Daily Star newspaper: "Prince Harry could train anywhere in the world, so it's a bit of a shock he's using a public gym that anyone can join. He's been having one-on-one personal training session with James, who is one of the gym's most popular instructors. The pair of them have been working out for a while now." It's thought Harry caught the fitness bug after trekking to the South Pole last December. Other stars who use the gyms include soccer star John Terry and film director Guy Ritchie.